I made a new friend recently. 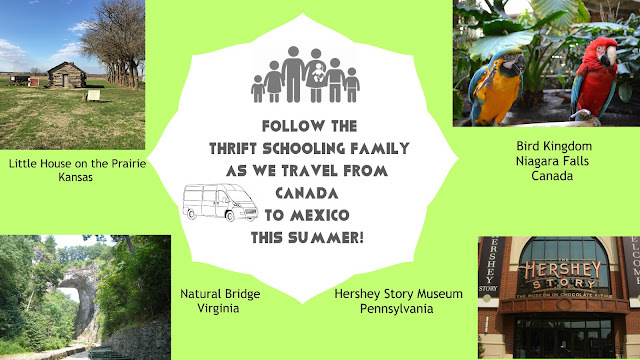 Since we are presently serving as missionaries in a Mexican border town we decided to join a homeschool group directly across the border in Texas. While receiving the grand tour of my new friend's home, my eyes were immediately drawn to the familiar maroon colored spines filling one of her bookshelves. She too is a fan of YWAM Publishing's missionary stories! I could spot those books a mile away. I recently have been adding more and more to my collection. Since we are now on the mission field I have officially added "missionary study" to our curriculum. At home, we would always read a story together during our "table time" after Bible and worship time but now, it seemed appropriate to limit our stories to missionary stories to encourage us on our journey. We have been so blessed through these stories. I actually cried in the middle of reading the Gladys Aylward story aloud to my kids. What a beautiful story. The biggest draw, for me, toward the Christian Heroes: Now and Then Stories is the writing. The authors, Janet and Geoff Benge know how to pull you in. They bring you directly to the scene. They don't simply tell you a pile of facts but captivate your attention through their amazing detail. After reading several YWAM missionary stories to my children, I read one from another author and was extremely disappointed. I felt like I was reading a book report the author had to write for a college dissertation. It was dry, boring and had no vivid imagery like the YWAM books do. Therefore, I am sold on YWAM Publishing and will continue to purchase their stories for our homeschool. I have not been disappointed with any of their books. This past month we switched up the way we experience our missionary stories. We have decided to try one of YWAM Publishing's new Audiobooks! These audiobooks are the same great stories just in CD form. 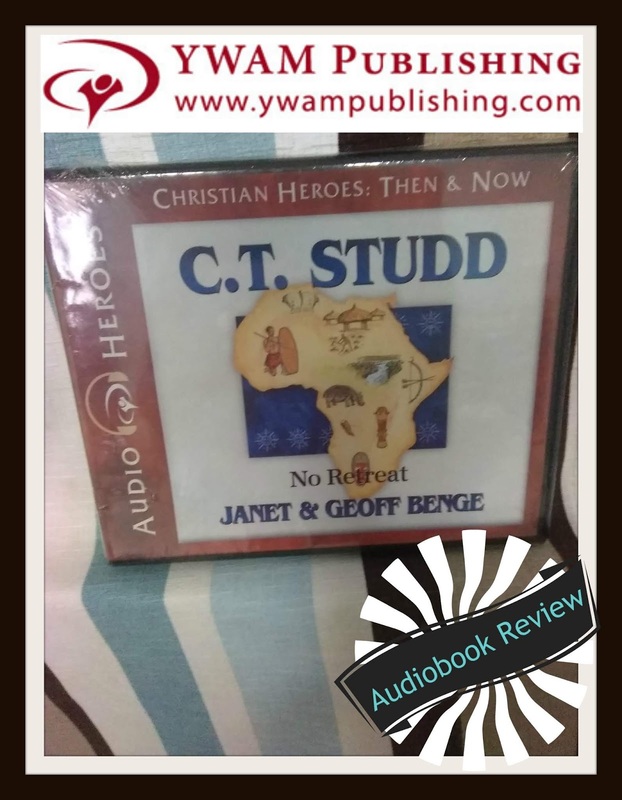 Our first audiobook of choice was C.T. Studd: No Retreat by Janet and Geoff Benge. The story is read by Tim Gregory. Even though I love reading aloud to my kids, having the audiobook version of the story has been a huge blessing right now because it gives me a few extra minutes in the mornings to attend to the little ones while the older kids listen to the story. I stay in the room and listen along but having one less subject to read, right now, has been helpful. The only downside is when I am reading aloud I can "skip" parts that I might not want my kids to hear. Usually, there isn't a need to skip anything in these books but in this particular book there is the mention and description of cannibalism that scared my three-year-old. My older kids are fascinated with the story of C.T. Studd. My daughter especially. The part that sticks out to her the most was when he didn't want to tell anybody that he was a Christian. I guess seeing that a powerful man of God once struggled with telling others about Christianity and his faith shows her the frailty of man and the power of God. I highly recommend these audiobooks for gifts this Christmas, for your kids, friends or extended family! Disclaimer: I received the above product in exchange for an honest review.